We take trendspotting seriously around here. Why, you ask? Aren’t trends fleetingly popular things? We want to find you the very best products that can make a difference for your skin, and there are so many trends, it’s hard to know what actually works on skin and isn’t just a fun gimmick. Like, cheese creams — cheese creams sounded fun and were trending for a brief period of time, but, when we tested them out and did our research, we were underwhelmed at what they actually did for skin. In Korea, when a trend takes off and keeps attracting attention, there’s a good chance there’s something there that’s powerful when it comes to what it can do for your skin. After all, South Koreans don’t joke around when it comes to skincare, so, if a large group of people swear by it, then we’re definitely going to be checking it out. How do we go about trendspotting? First, we keep an ear on the ground and do a lot of digital listening to see what real users are saying, and we do consumer shop-alongs and street interviews with real people who don’t have an agenda or a product to sell. We also speak to experts — dermatologists, estheticians, make-up artists. We chat with celebrities as well because they often have so much access to the best of beauty. Then, we always interview manufacturers and labs to evaluate the quality and science supporting the trend. Not all trends are necessarily skin-supportive, so we also get our in-house experts involved, our licensed estheticians carefully vetting the formulas, ingredients, and theories behind specific trends. It’s a long process, but trendspotting is a sister activity to curation and product development, which makes it one of our most important core activities here at Peach & Lily. Putting in all this work of trendspotting means we can bring you the best of K-beauty, so it’s a serious and comprehensive endeavor for us. Okay! With all of that context, without further ado, here are the trends we’re seeing and excited about for 2019! Korea popularized snail mucin, which so many of you now swear by. You can continue to expect more of these creative innovations, especially when it comes to ingredients, like these two newer ingredients we’re loving. First, micro-spicules! Micro-spicules are made of hydrolyzed sponge, and the best way to think about this ingredient is to imagine a serum, for example, containing a thousand tiny “microneedles.” There might be some mild tingling when you first apply the serum, but these micro-spicules (which cause the mild tingling) create micro-“wounds” in skin, which, rest assured, sounds scarier than it actually is. These “wounds” boost blood circulation and encourage cell renewal because they kickstart skin’s natural healing process, which, in turn, also helps the formula of the serum (and everything else you’ve applied in your routine) penetrate better into skin. If you’re wondering if this is an imaginary serum, fear not — we just described Eco Your Skin’s Meso Ampoule! 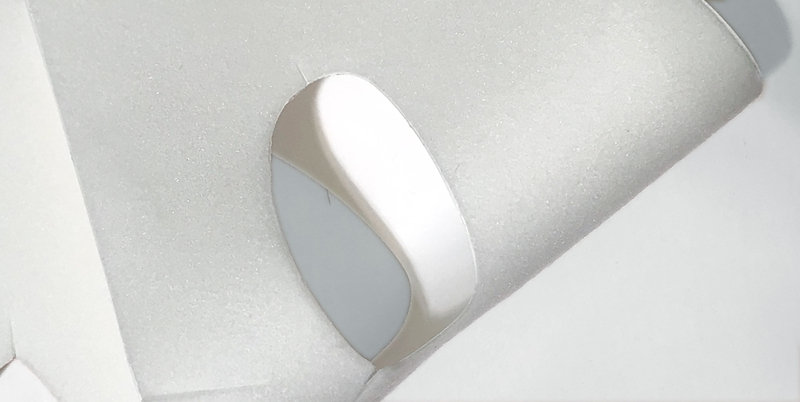 A star, innovative product created by Korea’s largest spa (it has over 500 estheticians! ), the Meso Ampoule has reviews that are hard to rival when it comes to a product that can help improve all manner of scarring and firming. Don’t take it from us, though; here are a few reviews you’ve shared with us! “I have been sharing this product with my teenaged son. He has pitted acne scars, while my own concern is dimpling/loss of firmness in the chin area. I see a dramatic improvement in his scarring, when I had thought that no topical product could help. For my part, I am seeing a more gradual, though steady, improvement.” – Lesley A. “Love this product! The tingling sensation you feel once applied, let’s you know it’s working. Love the matte finish and how well it sets my face for foundation application. I am seeing my discoloration from acne scars diminish and fade. Worth a try!“ -Stacey S.
“This is a fantastic product! I tried it for two weeks and it does what it says. I have some scarring which has been there for many years and with use 4 times the scarring has filled and looking better. I am waiting to see if it disappears with further use. Also with my marionette lines near the mouth has firmed and looking so much better as I massage the area too. My daughter who has bad acne scarring used it twice and there was noticeable improvements and scarring is not as deep as before use. Definitely worth every cent! Will definitely purchase again and will try other products in the brand!” – Gillian B. Another ingredient we’re starting to see trending is the salt derived from DNA that’s been extracted from the sperm of salmon. Before you get squeamish, remember — it’s not the sperm itself, and salmon were not harmed in this process. We’ll repeat it: it’s the salt that’s derived from the DNA from the sperm and it’ll show up on ingredient lists as Sodium DNA. This ingredient is celebrated because of the way it’s known to help revive and rejuvenate skin. We actually first came across a version of this ingredient (showing up as hydrolyzed DNA) a few years ago in a popular eye drop in Korea called Re-an that helped revive tired eyes and reduce redness. We met with the brand’s lab and discovered that they had a proprietary method in extracting this DNA from the sperm of salmon, and we left the meeting fascinated with the many studies they showed us about the positive effect this ingredient could have. Fast forward a couple years, and we’re now seeing this ingredient making its way into beauty products! As expected, it was none other than Shangpree, the top spa in Korea, that launched their Marine Jewel line with products that featured Sodium DNA (among many other marine ingredients). We weren’t surprised to hear how popular this product line grew in Korea and then, in the UK, launching at Harrod’s. It goes without saying that we’re proud to be the official distributor of all Shangpree products, including the Marine Jewel line, in the US! We’re not just talking about spa products that are being sold for at-home use; we’re talking about formulas that were innovated to be used both in spas and at home with the same results. In other words, whether used in a professional setting or in the comfort of your home, these spa-grade products will help your skin achieve the same glow. Take the Eco Your Skin Layering Essence Drip as an example. In the spa, the whole bag of the layering essence is sprayed onto skin using a spray device. You might think that the spray device is the thing that makes a difference in how the essence is absorbed into skin. Fortunately, that’s not the case — Eco Your Skin actually formulated the essence with a thoughtful array of hydrolyzed nanoparticles so that, even without a spray device, the formula will absorb rapidly into skin and leave skin glowing, just as though you’ve spent the afternoon at the spa. We’re not even sure if we can call this a trend because, as a whole, hanbang ingredients (traditional herbal medicines) seem to be a perennial trend. Every year, though, different hanbang ingredients trend, and, this year, we’re seeing ginseng, coptis root, and bai xian pi (a sort of root bark) taking center stage. These ingredients have long been well-established in the world of eastern medicine for thousands of years and were introduced into skincare many decades ago. One of these hanbang ingredients is coptis root, a funny-looking root that can help repair and soothe skin. We love this ingredient so much that we had to include it in the Peach & Lily Kbeauty Rescue Balm, a fast-absorbing, all-around salve you can use everywhere, on lips, elbows, cuticles, flyaways, you name it! You’ve been sharing your stories with us since we launched the product last summer. “My skin and developed a large irritated patch that was probably caused from overdoing Vit C and peeling lotions. This cleared it up quickly and feels soothing and wonderful on the skin. Great for cuticles, too.” – Patrice W.
“WOW! This stuff is amazing. My cuticles were like rocks which I kept pulling at and biting off. One use and they were like normal skin; I’ve used it for 3 days now and no rock hard skin to annoy me. Unbelievable.” – Carol L.
“EWG Green” is a trending phrase in Korea right now among beauty consumers. The EWG scale, which ranks formulas in which all the ingredients are green (low toxicity), is becoming the standard brands aspire to as consumers are becoming more and more vigilant about what’s in their skincare. Over the last decade, there’s already been heightened vigilance about formaldehyde, parabens, mineral oil, and the usual suspects you may have heard about. This new standard of clean, though, goes way beyond, keeping products free of fragrance, PEGs, and polysorbates, to name a few. Brands like Ground Plan have even born from this type of inspiration where clean is defined by being “EWG Green,” a standard that is often much more stringent than those US retailers might use to define clean. We’re loving this trend — or, rather, movement — and, in Korea, we believe clean is here to stay. Typically, these products are created out of dermatologist offices or created by hospitals. We’ve seen dermatologists seek out innovative labs to create a product that’ll do one thing really, really well and, through that outsized benefit, change skin overall for the better. Take the Miwaji Hyalu Serum Veil. A dermatologist noticed that lack of hydration was a common culprit for so many skin woes, from breakouts to dark spots to lack of firmness, and set out to create a unique product that first and foremost drenched skin with hydration. How? Through a unique blend of hyaluronic acid molecules that sink into skin and bind moisture not only to the surface of skin but also deeper within. 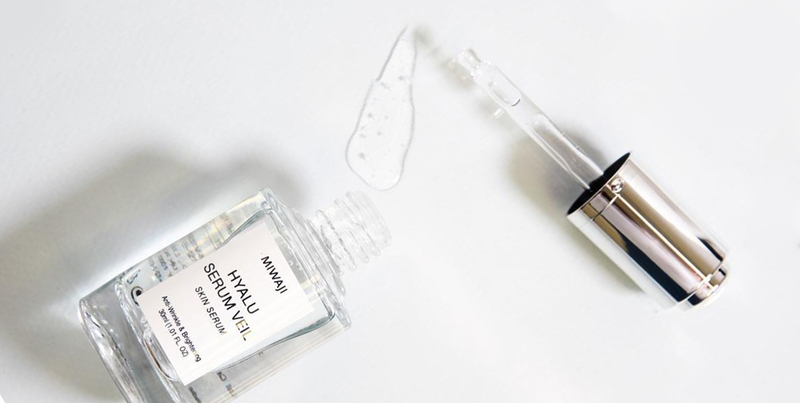 The truly innovative part, though, is that the Hyalu Serum Veil works both as a fast-absorbing serum and a veil-like product that can be used as a sleeping mask, forming a protective layer on skin that’s easily washed off in the morning. Literally, the Hyalu Serum Veil creates a thin, transparent veil, and this new-format sleeping mask leaves skin bouncy and radiant the next day. To boot, this serum includes clinically-proven ingredients to help brighten and firm skin, but the main purpose — and what it does so well — is hydrate skin through and through. 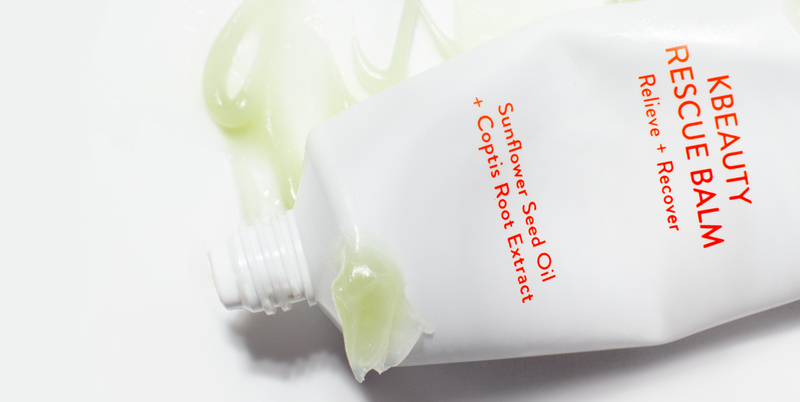 Products that melt into skin — literally — are buzzing. The Eco Your Skin Face Blanket Mask is a unique, dry mask that has a semi-sticky side that clings to skin because the essence has been baked into the mask four times — essence is added, baked, then cooled, more essence is added, baked, then cooled, four times in total. When applied to the face, the essence starts to melt, the mask becoming thinner and thinner until only the dry material is left. Because the mask material itself is dry, it works as an occlusive, creating a barrier so, as the essence melts, it goes straight into skin, nowhere else to go. The essence can’t evaporate into the air or get pulled out of your face; because the essence has been baked in and not soaked, the mask can’t dry out, so there’s no risk of reverse osmosis occurring. Instead, skin is left hydrated and nourished — and, because the mask sticks to your face, you can go about doing your everyday tasks without worrying about it slipping off! This is a word that’s gaining a lot of traction in beauty worldwide. Korea puts a creative spin on personalization and takes the approach of empowerment — they encourage first analyzing your skin and having the confidence to mix and match products easily to custom-fit your skin and its needs. Take the Femmue brand as an example. All of Femmue’s products are created to flex up or down and be used in ways that can be custom-fit to individual skin needs. 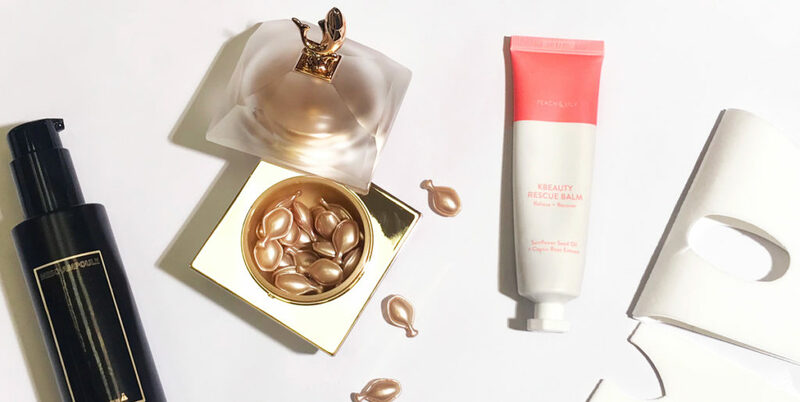 For instance, the Extraordinary Beauty Cleansing Balm is at once a cleansing balm — for those who wish to remove makeup — and a sleeping mask — for those who want to deeply nourish skin. Another example is Eco Your Skin’s mix and match Layering Essences and Booster Serums. You can add the Booster Serum into a daily routine and customize by day, too, based on what your skin is craving that day. 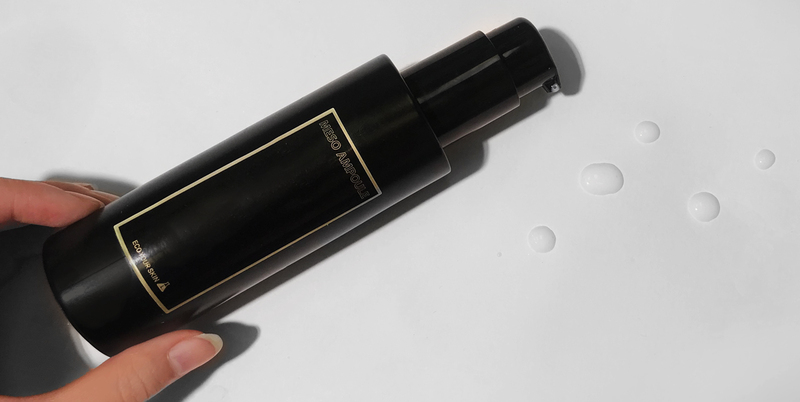 You can even customize how you add the Booster Serum into a daily routine, using it like a serum and applying it directly to your face or mixing it with your moisturizer to give it a boost. You can even add a Booster Serum to a Layering Essence to give your skin extra support with deep hydration, or you can combine two different Layering Essences or Booster Serums to get double the benefit — the Soothing and Moisturizing Layering Essences together can help calm and deeply hydrate skin. The possibilities really are limitless. We expect these trends to stay strong through 2019 — and we love that these trends are skin-friendly! We hope that they help empower you with new ingredients, formats, or innovations to transform your skin, and you can trust that we’ll continue trendspotting to keep bringing you the very best in Korean beauty.